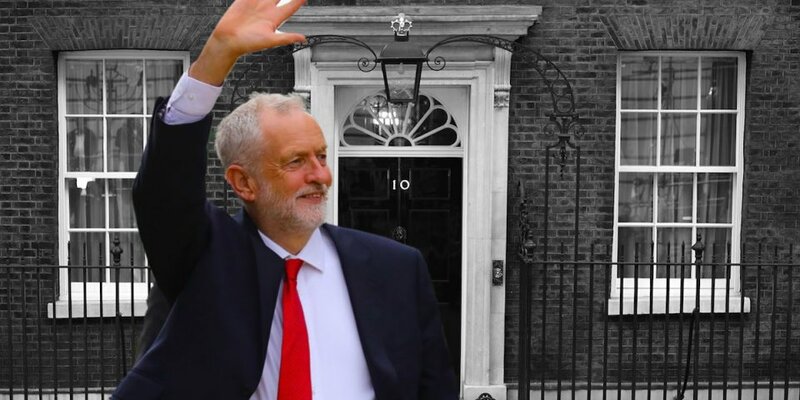 When Jeremy Corbyn became Leader of the Labour Party in 2015, the Conservative Party rejoiced, and his own parliamentary party went into a long sulk. The received wisdom was that an avowed socialist, with some very iffy connections, was so unelectable that the Conservatives could expect at least five more years in office. I disagreed. Sure enough, he came a good second in the 2017 general election. I will now say with fair surety that, if there were an election next week, Mr Corbyn would get an overall majority. It might be a big overall majority. Let me discuss the reasons. First, there is the nature of the media campaign against him. It is fair comment to say that, in the 1980s, he was effectively a fellow traveller with the Irish Republican Army. It is fair comment also to say that he still has questions to answer about the nature of his dealings, again in the 1980s, with various Soviet Bloc intelligence agencies. His support of unlimited mass-immigration, his political correctness, and his admiration for the ludicrous semi-Communist Hugo Chavez, are also points against him. Instead of calling him properly to account over all this, the media has decided to smear him as an anti-semite. Now, I have no doubt I shall receive at least a dozen spittle-flecked e-mails on the theme of Who Said What While Jeremy Corbyn Sat Where. But I will not answer any of them. I shall need a great deal more evidence than I have been supplied that he is just waiting for the right moment to shave off his beard and dye what remains of his moustache so he can reopen Auschwitz. There is much to be said about Mr Corbyn. But he is not an anti-semite. The British public has some regard for fairness, and every claim that he is one simply firms his support. It does more than that. A significant and growing part of the Labour electorate really is anti-semitic, and the accusations will only encourage these people to turn out and vote for him in greater numbers. Second, there is his socialism. In 1979, Margaret Thatcher made an almost explicit deal with us. She and her friends and successors would cut our entitlements to a range of free or subsidised services. In return, our taxes would come down, and we could make our own arrangement. Since then, the free and subsidised stuff has been withdrawn – but the tax burden is more or less where it was in 1979. Taking into account charges levied by privatised or outsourced semi-monopolies, it is greater than it was. What he might deliver is one thing. What Mr Corbyn appears to be offering is to give us more of the stuff we still pay for. Third, there is foreign policy. Since 1979, the British Government has operated in its external relations as a wholly-owned subsidiary of the Pentagon. We have fought wars in Iraq, Serbia, Afghanistan, Iraq again, Libya, and now in Syria. Each of these wars has been floated on a raft of increasingly shameless lies, and each has involved atrocities against civilians. People are sick of being lied to. They are sick of the atrocities. Mr Corbyn is promising an end to both. He wants a calm enquiry into that alleged poisoning in Salisbury. He wants a sane relationship with the rest of the world. For that alone, I am tempted to break the habit of a lifetime and vote Labour. I have never met a Conservative MP I failed to despise. Taken together, they are pretty close to the dregs of humanity. They and the Blairites have given us forty years of corporate privilege behind a progressively awful cloak of Cultural Marxism. If the only difference between them and a purged and Corbynite Labour Party is less corporate privilege and fewer wars, no wonder the opinion polls are drifting towards a Labour victory. No wonder too the only response from Conservative Central Office is to spray out smears that probably those repeating them do not believe. I said I might vote Labour. Perhaps I will. Even if I pull back at the last moment, I am confident there are many who will not.